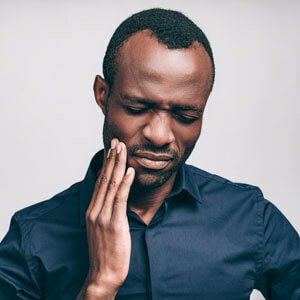 From a throbbing toothache to a chipped tooth that results from a sport-related trauma, dental emergencies come in all forms. At our friendly and caring dental practice, our professional team members are available to answer your calls and address your concerns. For urgent cases, we also feature same-day emergency appointments. Give our practice a call to discuss your concern with a member of our team, and we will be able to help you. If you’re experiencing any of the dental concerns listed above, it is essential that you contact our practice to discuss emergency treatment. Addressing your dental emergency as quickly as possible can help to avoid oral health complications that could arise if the issues aren’t dealt with immediately. One of the best ways to avoid a dental emergency is coming in for your biyearly checkups. By doing so, your dentist can keep an eye on any issues and provide care before they evolve into dental emergencies. If you’re suffering from discomfort or pain, or experiencing any other type of dental emergency, please contact our Kippa-Ring practice today.